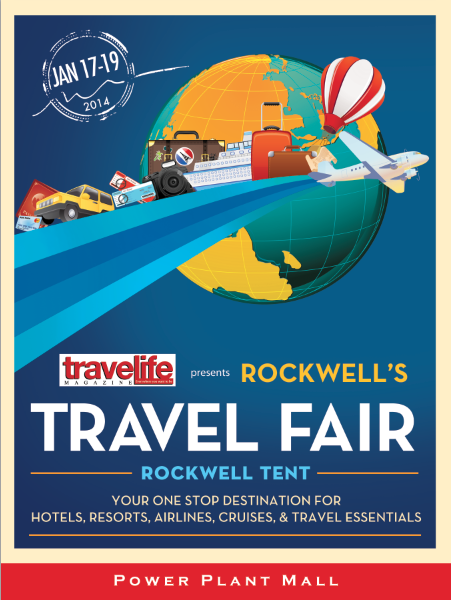 Travelife Magazine will host a three-day travel fair and exposition at the Rockwell Tent in Powerplant Mall, Makati City, Philippines from January 17 to 19, 2014. The event, which is the first travel fair in the Philippines for 2014, will feature tons of vendors offering discounted packages for airplane tickets and hotels within and outside the Philippines. The travel industry in the Philippines has a huge and promising outlook. As the local economy continues to grow, more and more Filipinos are escaping poverty and becoming able to travel domestically and internationally. In 2012, a study was released at the ITB Asia conference that stated that Asia-Pacific, in fact, would continue to lead as the world’s fastest-growing travel region. According to the report, the travel sector will rake in $357 billion or more in annual revenue, an increase of 64 percent from 2009 earnings. Because of this, many entrepreneurs and travelers themselves are taking more interest in travel.